Battle royale games are the hottest new craze in the gaming industry, and it seems like just about every major publisher is hopping on the bandwagon. Activision Blizzard rolled out Call of Duty's Blackout mode, and Electronic Arts (EA) now has the incredibly-successful Apex Legends to boast about to its investors. However, it would seem that one popular battle royale game isn't enough for EA. The company has been working on Firestorm, a battle royale mode for Battlefield V, for quite some time now. Details about the mode have been somewhat scarce, but Hard OCP spotted a tutorial video for Firestorm tucked away within EA's official website. Judging by what's been shown in the video (which you can watch below) Firestorm doesn't seem all that different from other battle royale games. You play by yourself or with a squad and drop into the map via parachute. Upon doing so, your main priority will be to gather weapons and supplies to increase your odds of surviving until the end. According to the tutorial's narrator, "objectives and safes" can also be found throughout the map. Completing the objectives will give players access to reinforcements, and potentially even powerful combat vehicles. Opening safes, on the other hand, could net you some rare equipment. Though we're not sure what the full range of Firestorm-specific vehicles will be, players appear to have access to small speedboats, miniature helicopters, and full-sized tanks. While playing Firestorm, players will be locked in a constant battle with themselves - or, more specifically, their inventory capacity. Ammo, weapons, and gadgets all take up space, and players will only be able to carry so many items at a time. However, backpacks can be found throughout the world, and snagging them will boost your inventory storage limit. 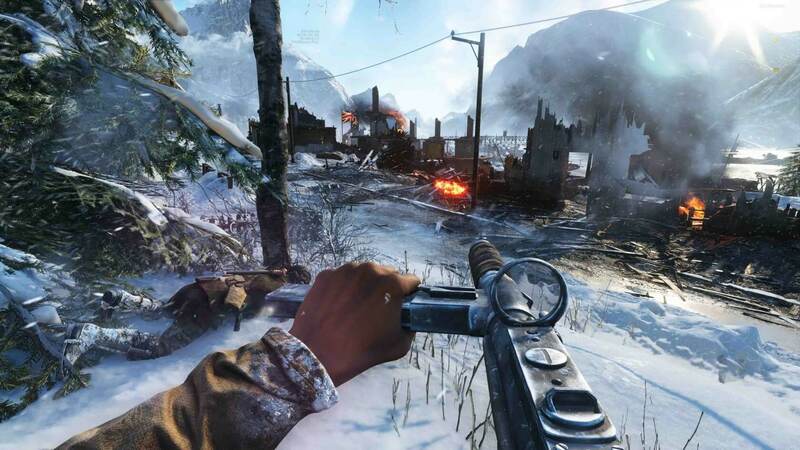 Unlike Battlefield V's normal multiplayer modes, Firestorm will not have any classes. Everybody will be on a "level playing field," meaning the mode will be more PUBG than Apex Legends. It's not clear when Firestorm will launch, but we'll let you know when it gets an official release date.